There is nothing better than a good pair of binoculars to enhance your experience of the great outdoors. 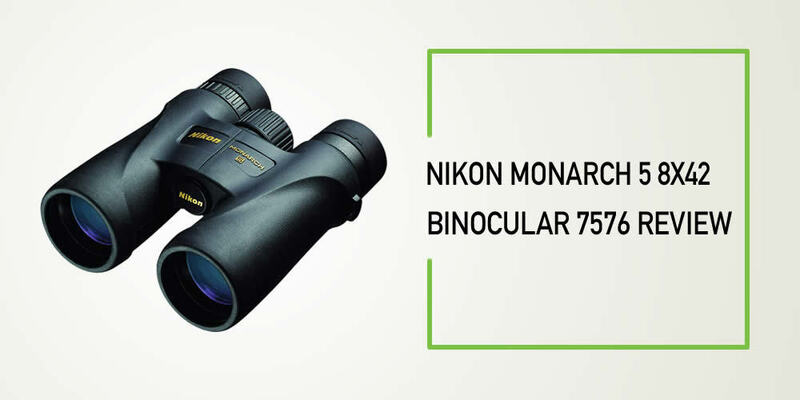 Whether you’re going on a safari, hunting or bird watching, a good pair of binos will help you observe nature’s creatures up close and enhance enjoyment of the wildlife. With its ED(Extra-Low Dispersion) glass, dielectric coating,fully multicoated eco-glass lenses, you can expect clearer, brighter, vividly colored images while you’re out in the wild. 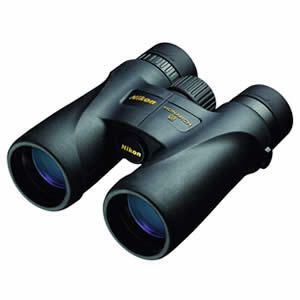 These special features combined with the ideal field of view and magnification power offered by this pair of binos, gives you truly excellent images. It may be time for you to do away you’re your old binoculars and enhance the quality of images you experience. It has a smooth central focusing system. You won’t have to turn the knob too much to get a change in the image and it also isn’t too sensitive to the extent that the slightest movement of the knob makes the clarity of the image change dramatically. It’s just right. It comes with a close focus of 8.2 feet. This is perfect for watching birds or insects that are close by without disturbing them. It also comes with diopter adjustment settings on the right eyecup. For those with a difference in eyesight between their eyes, this is very convenient. It will offer a balanced view of images and reduce eye strain that comes from using an unbalanced pair of binoculars. The process of adjusting the diopter settings is normally confusing for a lot of people, but Nikon Monarch 5 comes with lens covers to make the process a little easier. When deciding whether or not to buy a pair of binoculars, eye relief is really important, especially for those who wear eyeglasses and those planning a long expedition. Eye relief is the distance between your eyes and the eyepiece that ensures that you see the full field of view. The length of the eye relief that comes with these binos is just long enough, this means that you won’t have to bring your eyes really close to the eyepiece to get a good view. They also come with adjustable rubber eyecups that allow you to adjust the eye relief and get the best field of view. This also makes them more comfortable for your eyes during prolonged use. Bird watching and other outdoor activities require quite some time in order to be enjoyed fully. It’s really important to be comfortable since you’ll be spending a lot of time in the field. These binoculars come with a design that offers a ‘just right’ grip. Its rubber grip also makes it perfect for use in wet conditions. Your hands won’t slip. At a weight of only around 590g, this pair is easy to carry along. It isn’t too heavy to carry around the neck and it does come with a nice neck strap that doesn’t put much strain on the neck. You won’t tire out too quickly with this one, especially if you’re on the smaller side. 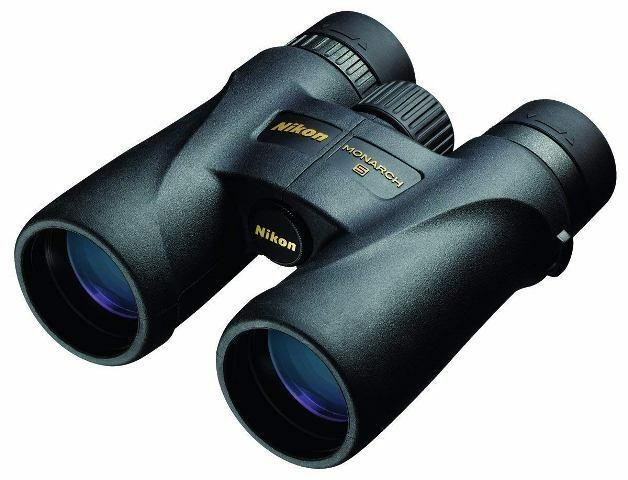 This pair of binos is one of the All Terrain- Binoculars of Nikon, these means that they are waterproof, fog proof and can be used in unfavorable weather such as light rain. They’re also rugged enough to be used without a case but it may be smart to still invest in one. The rainguards or as others call them, the caps that cover the eyepiece, protect it from dust and rain. They’re deliberately loose and are normally attached to the neck strap. They work with gravity. When you raise your binoculars, they drop off when you lower them back,they fall back on top of your eyepiece. Q: Does the pair come attached with anything? A: Yes, it does. It will come with a carrying case, a belt loop and a neck strap. Q: Can it be attached to a tripod? A: The scope is 12.4 inches long. Q: Does the scope offer camouflage characteristics? A: Yes, just make sure that you remove the cap that covers the dock for the tripod ca carefully. It’s a bit tight. The Nikon 7576 Monarch 5 8×42 offers you the kind of quality that is normally offered for twice its price. It is designed for full enjoyment in the outdoors. Lightweight enough to carry around and offering breathtaking images of nature. It’s a must have for all nature enthusiasts.